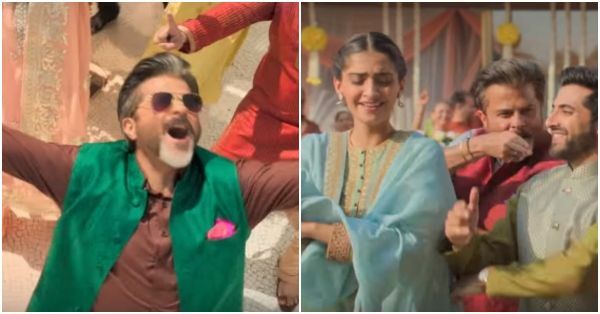 Sonam & Dad Anil Kapoor Bring Back *Ishq Mitha* As The Shaadi Song Of 2019! Put on your dancing shoes and pump up the volume because it is time to burn the dance floor. The song will take you back to the 90s version of the song that featured Malaika Arora and Jas Arora and gave us the popular palm-rubbing hook step. The showstopper of the song, however, is the Kapoor daddy who is such a bundle of energy throughout the song. The song is composed by Rochak Kohli and the lyrics are penned down by Gurpreet Saini. Anil Kapoor and Sonam Kapoor have come together for the first time in Shelly Chopra Dhar's film that is all set to release on February 1 this year. Both, Sonam Kapoor and Anil Kapoor have shared snippets of the song on their Insta handle and captioned it as the 'wedding song of the year'. Apart from Sonam and Anil, the film will also star Rajkumar Rao and Juhi Chawla in lead roles.